Size of full panel: 36"x44" Each individual panel is approximately 16"x16". You will receive the fabric as seen in the picture. 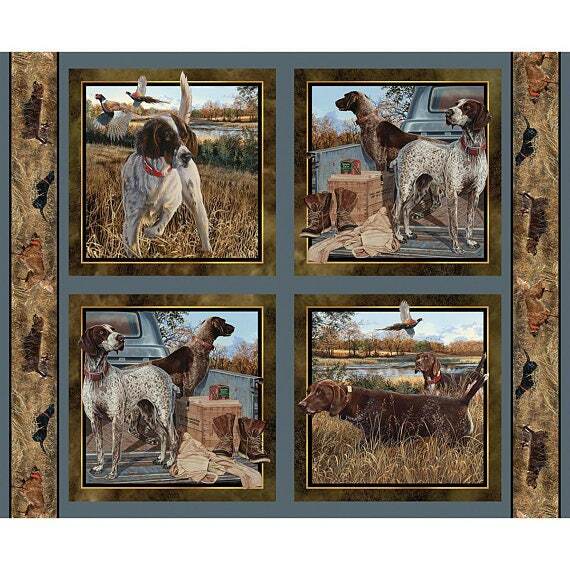 This pillow panel matches the dog days panel also listed on our website.